The iconic Fitzroy River empties into King Sound on the doorstep of Derby, creating the perfect environment for Barramundi. This perfect environment has provided locals with safe, accessible, sustainable and enjoyable fishing for decades resulting in Barramundi fishing entrenched as a time honoured institution for local residents. For many years recreational and commercial fishing have co-existed in harmony as commercial fishing operated in areas away from town that recreational fishers rarely visited. Recently though, nets are being set in popular fishing spots only minutes from the boat ramp. This has significantly impacted the quality of fishing experiences for local and visiting fishers. 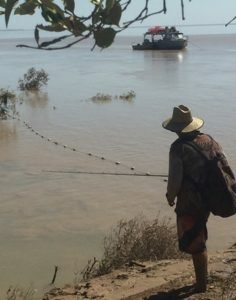 The Derby-based Mary Island Fishing Club has been attempting to negotiate directly with the commercial fishing operator and believe they have a proposal which provides families with fair and reasonable access to Barramundi while still allowing commercial fishing within 30 minutes of town. Club spokesperson Sara Hennessy said recent negotiations had broken down. “Unfortunately we have not been able to make any progress and our fishing has continued to decline,” Sara said. “The Derby community have always supported the supply of fresh local seafood, but high quality recreational fishing experiences around Derby are an integral part of our lifestyle that we want back. Recfishwest CEO Dr Andrew Rowland said recreational fishing is the lifeblood of many small communities in WA. Recfishwest and the Mary Island Fishing Club are continuing to negotiate with WAFIC and the commercial operator to find a solution that will restore fishing experiences around Derby while still supporting the supply of fresh local seafood. 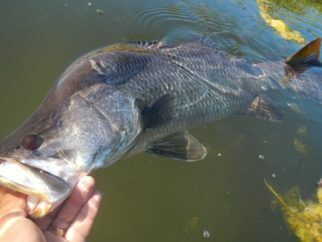 We will keep you informed of our efforts to restore the balance and regain the equitable combination of recreational and commercial Barramundi fishing the Derby community have enjoyed for decades.